Super Strong Sophie's Sparkle is for anyone that wishes to give to Sophie Grace Taylor's legacy. 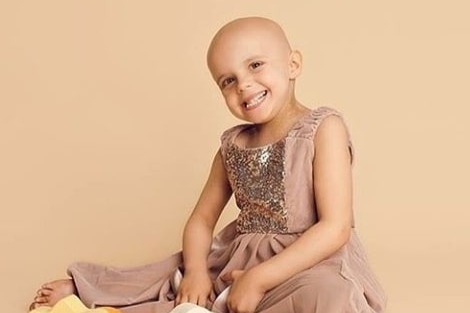 Sophie has battled osteosarcoma with fearless positivity, including weeks of chemotherapy, surgery to remove part of her leg, dealing with an awful wound from surgery, completing regular physio and getting her first prosthetic leg (magic leg). In the most devastating and cruellest of ways she has relapsed, it was found far too late with no treatment available. Sophie peacefully passed away on 18th January 2018. Sophie's family wish to make sure that Sophie's name lives on forever and that nobody endures what Sophie and her family have in the last year. The money will go towards a project that enables Sophie to be remembered forever and at the same time will support children that find themselves in similar positions to her. Anything done will be updated in the future so that Sophie's story lives on, lessons are learned and lives are made better.